Our Derby town centre store is now open! After weeks of renovations, merchandising and staff training, the Eden Mobility Derby store opposite St Peters Church and NatWest is now full of products waiting to help the people to Derby regain their Freedom. Eden Mobility will now be a permanent fixture in the Town Centre of Derby. This store is now fully stocked with scooters, stairlifts, rise recliners and so much more. The Derby store will be open and fully staffed Monday to Saturday every week to help you regain your mobility and independence. There is plenty of parking available nearby, so don’t hesitate to pop in to meet our new staff and visit our 26th store. We have 10 used mobility scooters that are available to view at our Derby store. If you are looking for a new or pre-owned mobility scooter in Derby, we may be able to help. At Eden Mobility we are able to provide a variety of new mobility scooters as well as a huge range of pre-owned scooters - all of which are fully serviced and sold in the very best working condition possible. Our range of scooters include small, medium, large and executive-style scooters so you'll be spoilt for choice! Why not head down to our store in Derby today and see them for yourself. Powerchairs are ideal for those who have limited movement. They are essentially an electric wheelchair that has an easy-to-use control stick so that the powerchair can be operated with one hand. We have many different types of powerchair available to suit a variety of requirements - you can rest assured that we have the powerchair for you! 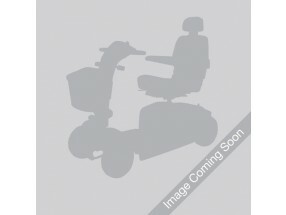 Eden Mobility stock a range of powerchairs in the Derby store, so why not take a visit today and see them for yourself. We'll be able to answer any questions you may have! If you are interested in purchasing a rise & reclining chair for yourself or somebody you know, come on down to the Eden Mobility store in Derby. We have a range of chairs available for you to try out and we'll be able to answer any queries you may have. Eden Mobility are a leading stairlift specialist and have been providing stairlifts in Derby and the surrounding area for many years. We are able to provide straight and curved stairlifts for even the most complicated staircases and can provide them in either a new or refurbished condition. Come along to our store in Derby today to see our demonstration stairlift to get a feel for how they work. Our friendly team will be more than happy to answer any questions you may have. Eden Mobility can provide a variety of wheelchairs - both lightweight and heavyweight. Visit the Derby store today to see our range today.